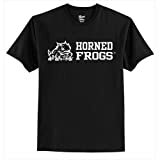 TCU Horned Frogs Block T-shirt is a 6.1 oz 100% preshrunk cotton Tagless label shirt; double-needle coverseamed crewneck; taped shoulder-to-shoulder; lay-flat collar. Each TCU Horned Frogs Block T-shirt features a center chest; 1 color imprint.Usually ships within 5-7 business days. Official Christian Audigier Heritage Collection Merchandise. Features Embroidered Skull Pilot detail with 100% cotton and machine washable material. Christian Audigier has quickly become Rock Royalty. Celebrate who you are with these Denim Rhinestone Skull Jeans. 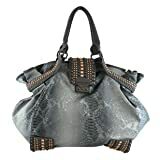 The jean features a stitch rose and wings design on front with a large two toned Christian Audigier signature stitching on back, large stitched skull with rhinestones down one leg and metallic stitched rosary down the other. They are 100% cotton and machine washable.